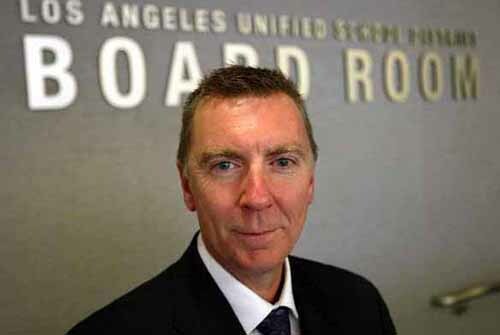 The Los Angeles School Board is expected to name John Deasy, now serving as an under-boss to Superintendent Ramon Cortines, to be the new superintendent of the second largest school district in the United State, serving nearly seven hundred thousand students, employing about 45,000 teachers. Deasy came to Los Angeles in August 2010 and immediately became a major and controversial voice supporting "value added" performance evaluations for teachers. His rapid rise has also been attributed to his connections to the Broad and Gates foundations — as well as to a controversial claim to being called by the title "doctor." The controversial history of John Deasy (and the fact that his quickie "PhD" was awarded by a University of Louisville dean who later went to prison for fraud) seems to be no barrier to the top job in Los Angeles. Deasy has the support of both the Gates and Broad foundations, and that's enough for Los Angeles Mayor Antonio R. Villaraigosa.One charge against Feiner was the misappropriation of a $649,000 federal grant. In total, Felner was convicted of stealing $2.3 million in research grants. He was ordered to pay UL $51,000 and the University of Rhode Island $1.3 million. Felner resigned from UL in 2008. He was sentenced on May 17, 2010. Deasy, after allegations rose up about his imaginary degree but before the investigation, was quoted in the Washington Post as saying, "If the university made errors in the awarding of the degree, I do hope they rescind it. My responsibility is to do everything I was advised and told to do. If I was advised wrong and given wrong information, the university needs to take responsibility for that. I certainly would not want anything unearned." [Rich Gibson has a real PhD from The Pennsylvania State University (you can look it up, dissertation online and really long too). He is an emeritus professor of education at San Diego State and is a co-founder of the Rouge Forum. He can be reached at RGibson@pipeline.com].